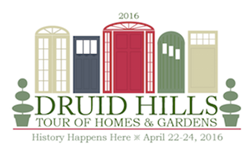 The Druid Hills Civic Association announces the 2016 Druid Hills Tour of Homes & Gardens and Makers Market, April 22-24, 2016. The Druid Hills Civic Association announces the 2016 Druid Hills Tour of Homes & Gardens and Makers Market, April 22-24, 2016. "History Happens Here,” as the historic Druid Hills neighborhood comes alive, featuring houses designed by renowned architects, the best of interior planning and decor, Southern fare, concerts featuring local musicians, arts and crafts by Georgia artists and the hospitality of Emory Village merchants. Now, as always, the community culture of Druid Hills is vibrant, inspirational, celebratory, and focused on preserving and extending the vision of noted landscape architect Frederick Law Olmsted. 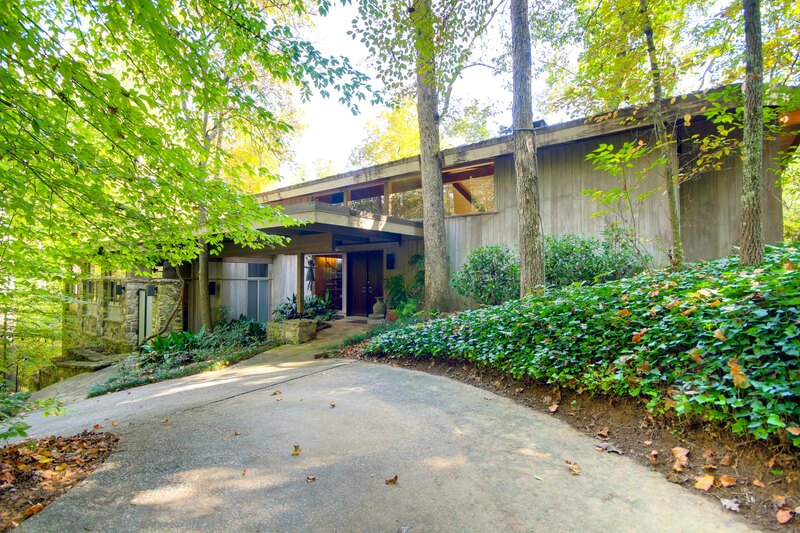 The Druid Hills Civic Association announces the 2016 Druid Hills Tour of Homes & Gardens and Makers Market, April 22-24, 2016. "History Happens Here,” as the historic Druid Hills neighborhood comes alive, featuring houses designed by renowned architects, the best of interior planning and decor, Southern fare, concerts featuring local musicians, arts and crafts by Georgia artists and the hospitality of Emory Village merchants. Now, as always, the community culture of Druid Hills is vibrant, inspirational, celebratory, and focused on preserving and extending the vision of noted landscape architect Frederick Law Olmsted. Druid Hills Youth Music Showcase on Friday 5:30 - 7:30 PM, Emory Village Plaza, featuring the Red Handed Band – CeCe Yarbrough, Charles Eastman and Nate Marquardt; Rowan Kennerly and Friends; duet by Chase Calhoun and Taylor Liebold; and solos by Charles Eastman. Patch Dash 5K Fun Run/Walk and Tot Trot on Sunday 8:00 AM (requires registration and entry fee; proceeds benefit Press On To Cure Childhood Cancer: http://www.pressonfund.org. The tour events take place Friday, April 22, 1:00 – 5:00 PM; Saturday, April 23, 10:00 AM – 5:00 PM; and Sunday, April 24, 10:00 AM – 5:00 PM. Tickets are $25 in advance and $30 at the door. Groups of six or more are $20 in advance and $25 at the door. Tickets may be purchased in advance on the website: http://www.druidhillstour.org. Proceeds from the tour and events benefit the Druid Hills neighborhood, which is on the National Register of Historic Places. 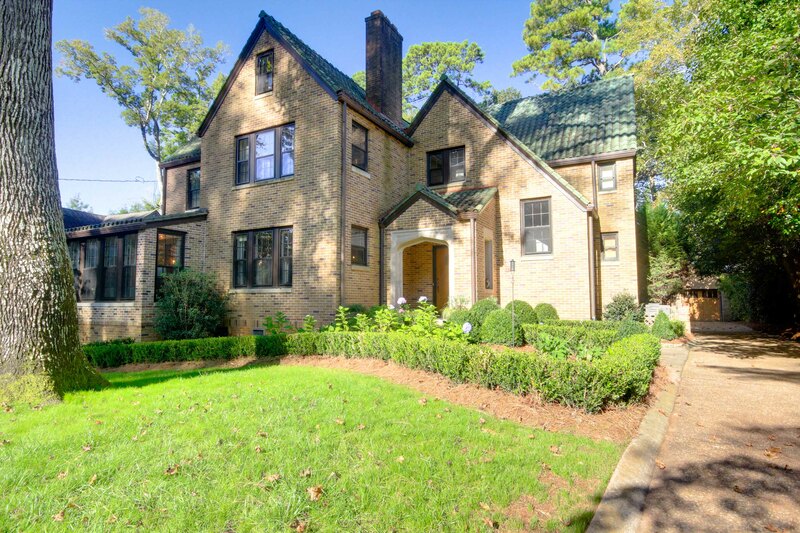 The Druid Hills Civic Association was founded in 1938 to preserve Atlanta’s Druid Hills neighborhood and to protect its unique heritage of parks and architecture. The Association carries out these responsibilities by exercising vigilance in zoning matters, maintaining a liaison with local governing bodies, informing the citizens of community issues, and promoting the general welfare of the community for the enjoyment of its residents today and in the future.